Manitoba's plan to allow the private sector to sell cannabis has sparked a flurry of activity across the province as businesses prepare to enter the market and the City of Winnipeg plans to regulate where weed retailers can set up shop next summer. Manitoba home to 2 licensed producers, vape shops and even First Nations who want to sell cannabis. 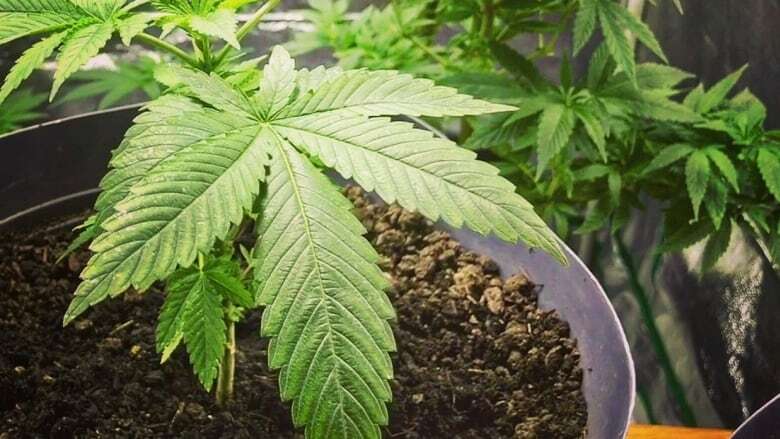 Winnipeg chief planner Braden Smith is working on a cannabis retail plan that should determine where cannabis shops can exist, how far they have to be from schools and possibly even how large a neon cannabis leaf can be in a retail-store window. 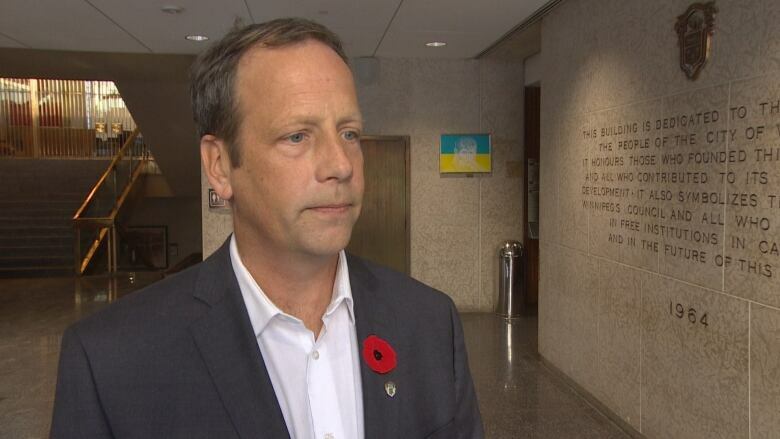 But first, the province must clarify what constitutes a cannabis retailer, council property chair John Orlikow said Tuesday. "We still have a lot of questions to ask but at first glance, it's not horrible," said Orlikow (River Heights-Fort Garry), praising Premier Brian Pallister's provincial government for fostering a competitive retail market that could keep cannabis prices low enough to reduce the black market for marijuana. "In a system where the cost of marijuana would be very high, it's not going to deal with the black-market issue," Orlikow said. Winnipeg expects to receive an initial report about land-use regulations for cannabis retail stores as soon as January, John Orlikow says. 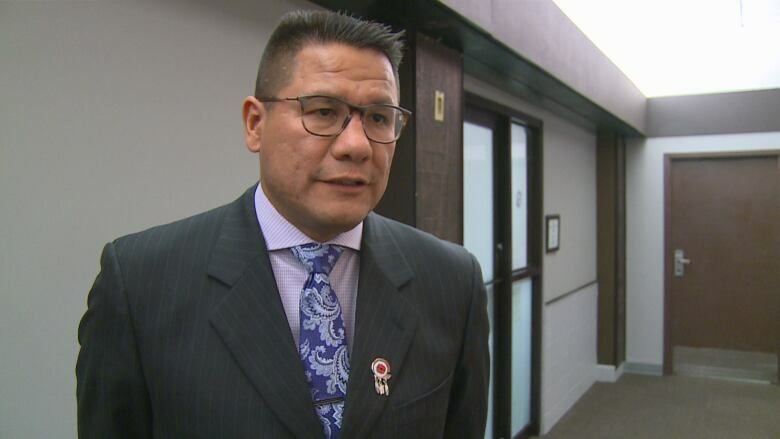 (Jeff Stapleton/CBC)He said the biggest question is whether a cannabis retailer can sell other goods and whether these stores must stand alone or can be placed inside other retailers, such as grocers or drugstores. "What is retail? Is it selling marijuana only? Could it be at a grocery?" Orlikow asked. "Could it be any retail store? Or are they going to give us guidelines on the type of retail stores?" Orlikow said the city will consider minimum distances between cannabis retailers and schools or other sensitive places. "I don't want a big neon sign shining into schools," he said. A report on municipal cannabis retail regulation is expected before Winnipeg city council in January or February, Orlikow said. Public hearings or consultations will follow, he added. "The planning department knew this was coming. They just didn't know where it was going yet. Now that they know where it's going, they can focus on what the bylaw is." Manitoba is home to two licensed producers, vape shops and even First Nations who want to sell cannabis. Jeremy Loewen hopes to sell it at his store, Hemp Haven. "I'm all for it. It's great. I love that idea. Like I say, we've been fighting for this for years and years and years." 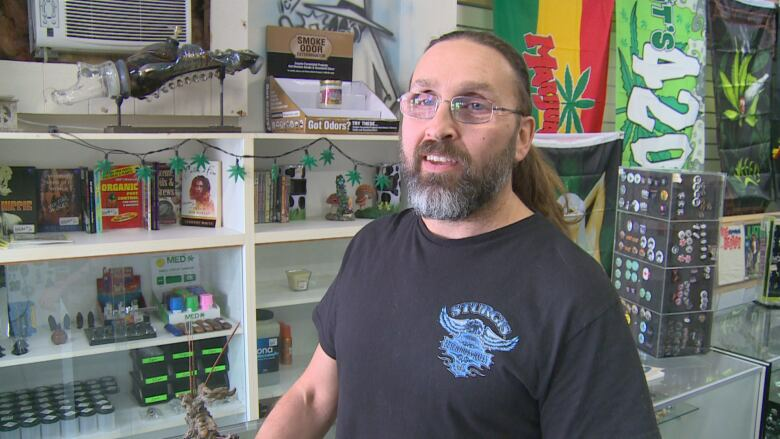 Loewen has been in the industry for close to 25 years, and while he wishes Manitoba Liquor and Lotteries wasn't in control of cannabis distribution, he's relieved small businesses like his can apply to have a piece of the retail pie. "I'm going straight to the building filling out my forms to see if we can get distribution for retail sales. I'll be there with bells on tomorrow morning," he said. Loewen isn't completely happy with the plan though. The province is also set to allow online sales of cannabis, something Loewen fears could hurt brick-and-mortar businesses like his. "If you've got online sales, you don't have a brick-and-mortar location. that means your overhead is way lower, and how are you going to compete with some of those prices," he said. One of Manitoba's biggest players in the marijuana industry is Delta 9 Biotech. The province's only licensed producer authorized to sell medical cannabis. The company, which became licensed to produce cannabis in 2013, went public on the stock exchange this week positioning themselves to expand production ahead of legalization. Within an hour of the announcement, their stock price jumped 25 per cent. "I think this is huge for Delta 9. I mean we've certainly been looking into the retail prospects, particularly here in Manitoba for the space," John Arbuthnot said. This summer, Delta 9 set up a medical marijuana clinic in Osborne Village and supplies clients product via home delivery. Delta 9's medical cannabis business will remain the same, Arbuthnot said. "This will be a little bit of an offshoot for us getting into the recreational and the retail components so I guess nothing changes from the existing business standpoint but large changes coming from an overall structure standpoint." The demand could be steep so the company's focus now is raising capital for expansion. They hope to raise between $25 million and $30 million over the next few months. 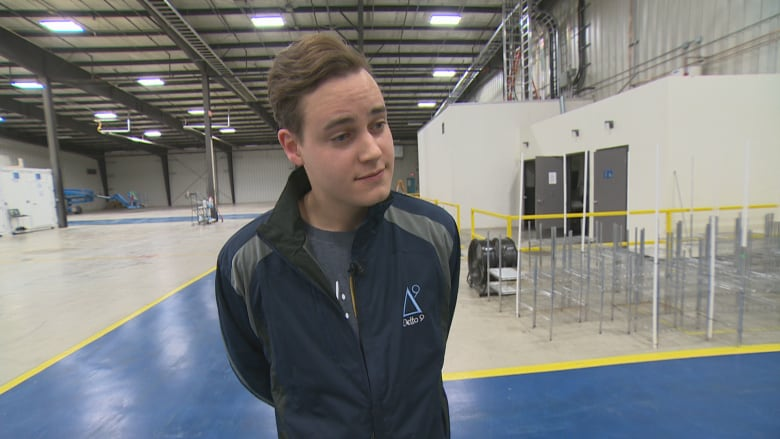 "We will be looking to invest substantially here in Manitoba," Arbuthnot said..
As part of those changes, Delta 9 is in the process of retrofitting 12 more storage containers, or "grow pods," to increase its pot production. It currently has 15 pods inside an 80,000 square feet building but plans are in the works to expand its operations to a second facility next door, which would add another 55,000 square feet of space. Arbuthnot says the goal is to cultivate cannabis in 600 grow pods in the next few years — and employ hundreds more people. Chief Christian Sinclair of Opaskewayk Cree Nation says cannabis legalization presents an economic opportunity for First Nations. His community has purchased a $3 million stake in National Access Cannabis and he is in talks with dozens of communities to bring dispensaries to urban centres and nearby reserves. "If we can get 20, 30, 40, 50 licenses to set up these shops then we will do that and we have the capacity to do that on a large scale, not only within Manitoba but across Canada. So we're very happy Manitoba is going in this direction." He says the economic spin-off could be instrumental in tackling poverty. As for how much pot will cost in the store, Arbuthnot hopes the government will allow the market to set the price. "Allowing the market to be competitive and to set the prices will ensure the government's goals of getting rid of the black market. "We see an average black market price between $8 and $10 a gram. We will certainly be intent on beating that price at the retail level," he said. Now the race is on to file retail proposals with the provincial government. The deadline is in six weeks.